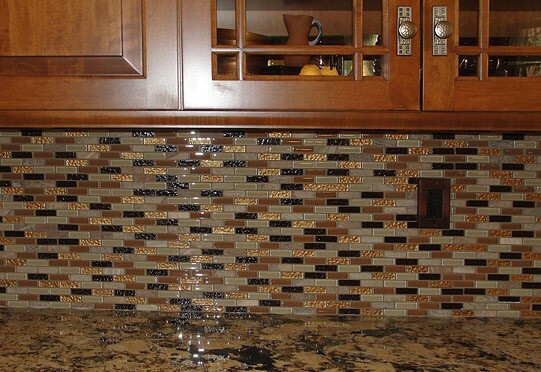 Marble tile backsplash with detailed inlay. Marble floor wiith decorative border. 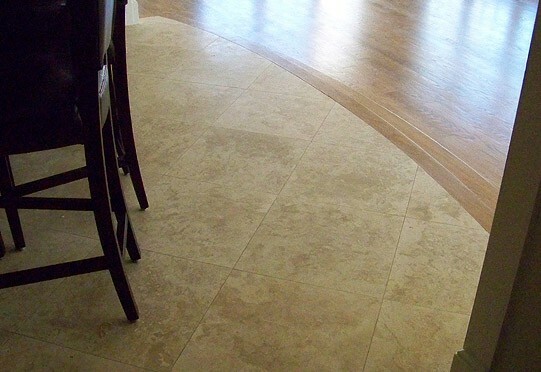 Marble floor with an elegant, curved edge. with integrated bench and tiled pan. 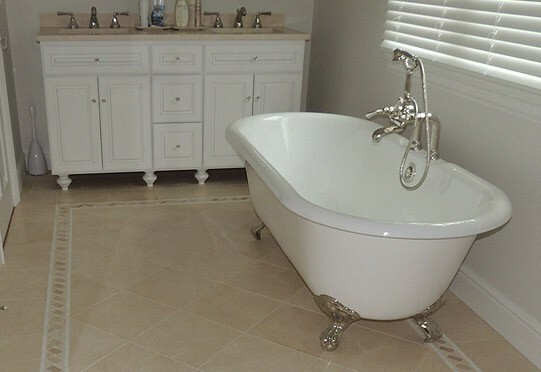 Natural stone tile floor never goes out of style. 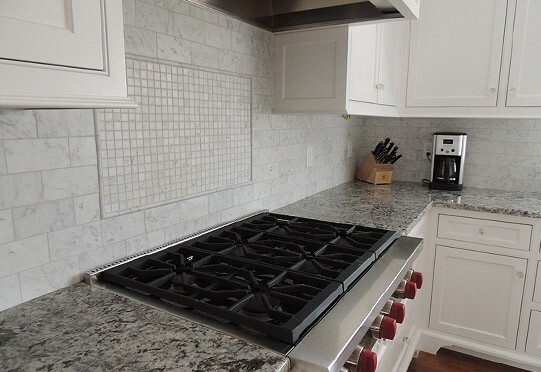 Halloran Tile & Marble, LLC has been serving customers in Fairfield County, Connecticut and beyond for over 25 years. We have established long term relationships with quality builders and homeowners alike. We pride ourselves on quality workmanship and timely service. We are family owned and operated enabling us to be fully involved from the beginning of the project to completion. We do not "sub-out" our work to others so our customers can feel comfortable knowing that the craftsmen working in their home are part of our company. 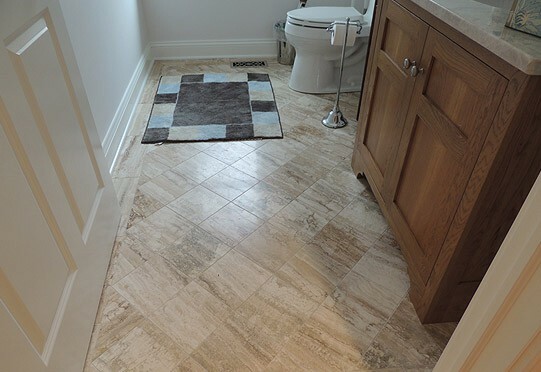 Halloran Tile & Marble, LLC installs all types of ceramic tile, porcelain, marble, stone and glass tile. We work together with our customers to understand their needs and expectations to achieve and exceed the results they envisioned. 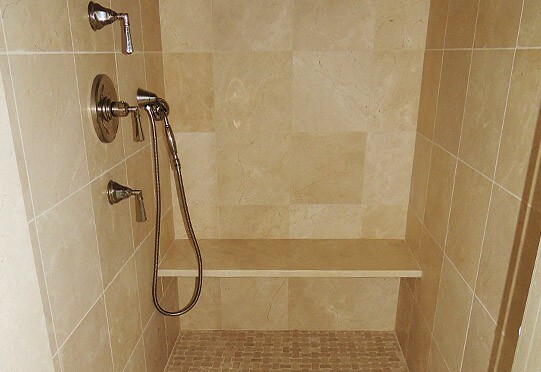 Whether your project is large or small, simple or complex, Halloran Tile & Marble LLC can meet your needs with high quality and professionalism.